If money didn’t matter, would you care how much you spent on your airline tickets for leisurely travel? For some, money ain’t a thing, but if you’re traveling on a budget or you are just conscientious about how you spend your hard earned money, (like me) always watch your airline flights. I will tell you how I saved $463 on my next flight out! Let’s just keep this short and sweet because I know you have more important stuff to do than to read my blogs. So here goes nothing! I’m an avid traveler to Punta Cana. I have been there more than I should probably admit to. Yet, I’m still grateful. Something told me to visit Santo Domingo, which is the capital of the Dominican Republic. I never fly into SDQ because the flights are usually expensive (to me) because I’m always on a budget. The flights usually range from $600 – $900. For the dates I chose to travel, these same flights are ranging from $783 – $851 round trip. A round trip flight to Punta Cana is 1/2 this price which is why I usually fly on SW “Wanna Get Away” fares. IF YOU HAVE REWARD MILES… USE THEM! From IAH to SDQ I booked a one way flight using 15K AA reward miles and only paid $36! I added trip insurance for my flights just in case. Cost for that? $28! Something told me… Do not buy that flight! I started looking at the round trip flight details. The route is from SDQ to MIA and to IAH. I’m thinking, I know MIA (you gotta know your airport codes) has some one way deals to IAH. Let’s look at these flights separately! Voila! From SDQ (Santo Domingo) to MIA to IAH I paid $256! There is a downside to this and if you know me I cannot leave out this part. These airline flights have some restrictions and there is a longer layover in Miami. That $463 flight had me arriving at 10:00 pm, well with these flights I will be arriving at 11:52 pm. I really do not like traveling long periods of time but if I can save over $400 on a round trip flight, well sometimes you gotta do what’s best for you. I was willing to spend that extra time to keep the savings in my pocket. AA has these new bag rules it seems and the weird thing about me booking these flights is I wanted to look at how I can improve my packing process. I usually have one luggage, a duffle bag and a shoulder purse when I travel. Look at these restrictions below for this Basic Economy Fare. 1. One item that fits under the seat! That would be my duffle bag because there’s no way my luggage will fit underneath their seats. 2. No access to the overhead bins, which means if I do bring a suitcase I would have to pay a checked bag fee for two flights and that’s $50! That is not about to happen because I need to eat with that $50! Now I have to travel without a suitcase. 3. Boarding in the last group! Oh Lawd!!!! I’m used to boarding group A/B. They will assign my seat for me. I am so curious to see how this goes. I better not get bumped for this flight. So yeah, I will need to make some adjustments to how I travel for this trip. It is my goal to pack light because I usually take too much stuff anyway. My last trip I had to give some of my clothes away. I hope whoever has them use them. LoL! 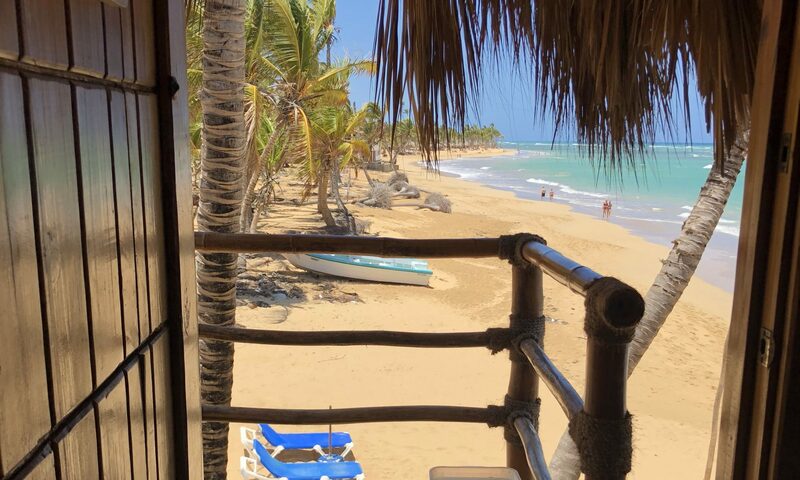 This is my short travel segment on how I saved $463 on my round trip flight to the beautiful Dominican Republic once again! This time en la capital! Zona Colonial Style!